Former Vice President Joe Biden has signed with Creative Artist Agency for post-White House work, the company announced on Friday. The agency will represent Biden and his wife, Dr. Jill Biden, across all areas, helping to build upon their lifetime of work improving the lives of Americans and countless others around the world. The Bidens continue to lead the initiative to end cancer they began during their final years in office. 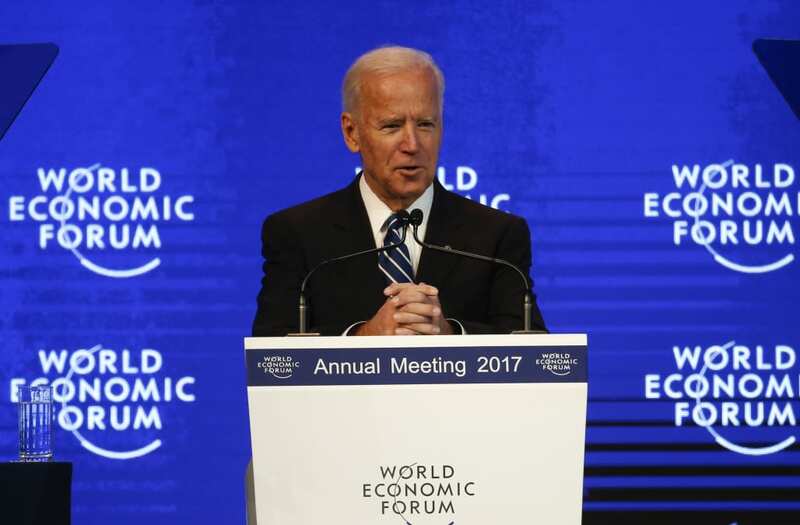 They also recently announced the creation of the Biden Foundation, as well as partnerships with the University of Delaware and the University of Pennsylvania. In his three-plus decades in the U.S. Senate, Biden authored the landmark 1994 Crime Act and the Violence Against Women Act. As Barack Obama's vice president, he oversaw the implementation of the Recovery Act that helped bring the economy back from the brink of depression, and managed the United States' foreign policy in Iraq, Ukraine, Central America and more. Jill Biden has been a national leader on the importance of community colleges, military families, and the rights and welfare of women and girls globally. "Jill and I remain more dedicated than ever to addressing the critical issues of the day, and we see in CAA a shared passion and shared values that are at the core of our family and our goals," Biden said in a statement. "We look forward to leveraging their expertise, across many fields, as part of our team." "As a company, and as individuals, we are deeply honored and excited to work with Vice President Biden and Dr. Biden to advance their vital efforts," said CAA President Richard Lovett. "The Bidens have long led with integrity, authenticity, and compassion. Their extraordinary commitment to lifting people up is not only a great inspiration to us personally but a tremendous foundation upon which they will build an unprecedented post-White House career." The agency has been beefing up its roster this year with prominent out-of-work Democrats such as former California Sen. Barbara Boxer and Obama adviser Valerie Jarrett.